I dream of one day having a whole room dedicated to sewing and crafting. For now I'll have to work with what I've got. Not that what I have is all that shabby. I feel blessed to have as nice of a place as I do. I've never had to live the dorm life or share a room with a stranger. Missing out on the full college experience? Meh I'll take what I've got any day. Some of you have asked about the machine I use. It's a Kenmore model 43 cabinet style machine from the 60's (I think..) . This was a gift from my grandmother who had it for 20+ years before passing it down to me. I love it. It's certainly nothing fancy and in fact, it only has two stitches; straight and zig-zag. It might be nice to have a few extra stitch choices but I'm not sure I'll ever need the 200 or more choices that newer machines have. We had our local handyman detach it from the wooden cabinet and construct this nifty little box for it to sit in. Now it's so much more portable and can sit right on my desk! Found this pretty bowl at a thrift store. Serves as a perfect place to put my thread! Maybe my favorite part of the space. A few hours and about 20 glue sticks later, I had this pretty book wreath. Can't seem to find the tutorial I used for this. If you happen to know, please let me know so I can give credit! Can you guess which book I used? My roommate's adorable kitty. Look at those pretty blue eyes. How perfect is this? And it smells amazing. 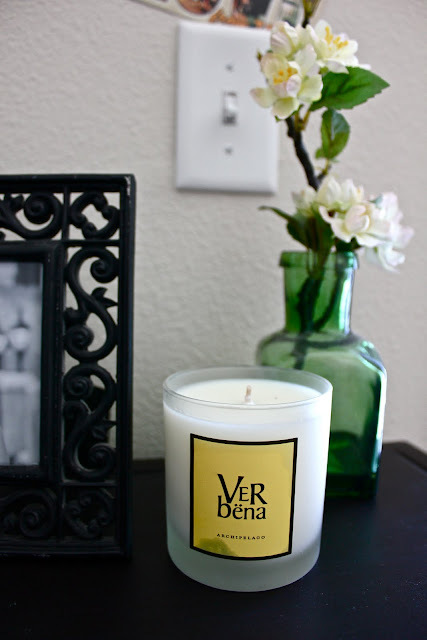 I haven't even lit it yet and the sweet lemon scent already fills the room. Double K for my room mate Karen and I. So now you know! What's your sewing/crating space like? I remember my crafting days at A&M. I lived in the dorms for two years and always had drawers full of supplies. I don't think I took my sewing machine until I moved into an apartment my Jr. year. I worked part time at Amber's Crafts which used to be in the Kroger shopping center. My Sr. year, I went to work at Crafts, Etc. in Bryan. It was near Joann's, but I don't even think the building is there anymore. Good times! What a beautiful room. My desk is about the same size but always piled with books and work. I love your bedding where is it from? My guess would be the wreath was made from Twilight, it very darling. I've wanted to make one, but I have no where to put the thing. I absolutely love your quilt!!! It is beautiful! Your entire room is so lovely and clean, I wish mine looked like that. I was so sure I was going to be the first one to figure out the book, but it looks like not. It's totally Twilight, though. I see "Jacob" and "Desire to kill." Lol. 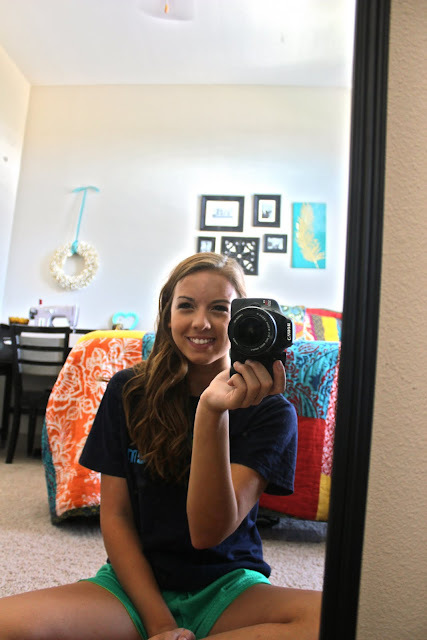 Wow, I wish I'd been so crafty and cozy in my college apartments! What a great room/sewing nook! oh such a wonderful creativ space!!! love all the colors around...and that amazing book wreath!!! I never lived with anyone I didn't know, but I did do a dorm for 2 years. I'd totally take what you have, too! I have a big butcher block office desk that was my childhood dining room table. Sometimes I craft there, but it's usually covered with papers to grade, so instead, I'm usually at my dining room table. My only roommate is a cat, so we really don't need to reserve a table for six for eating! Thank you on your sweet comment :) It means a lot for me. You found a practical use for Twilight! I love those cute little hearts and the antique glass. I have my 1972 Genie sewing machine hidden in a corner of my room. Like your machine, it has very few stitches, but I don't feel any need for the fancy stitches of today. i love it!!! i love the wreath and your bedspread too! I have the same sewing predicament too! Can't wait till I'm out of college and have my own home with a room dedicated to all things crafting! Cute Cute Cute!!! I love it all! I'm a complete sentimental goober, so I teared up that your use your grandmother's sewing machine. Ah, heirlooms!! I'm insanely jealous of your workspace... my dorm was about the size of your desk. :-P I'm all "grown up" and married and STILL don't have that kind of set-up. Kudos! Your space is so beautiful with a great balance of white and color. The only reason i have a newer machine is not for 200 stitches but for the buttonhole making! (my machine is 15 years old) I make little girls dresses. 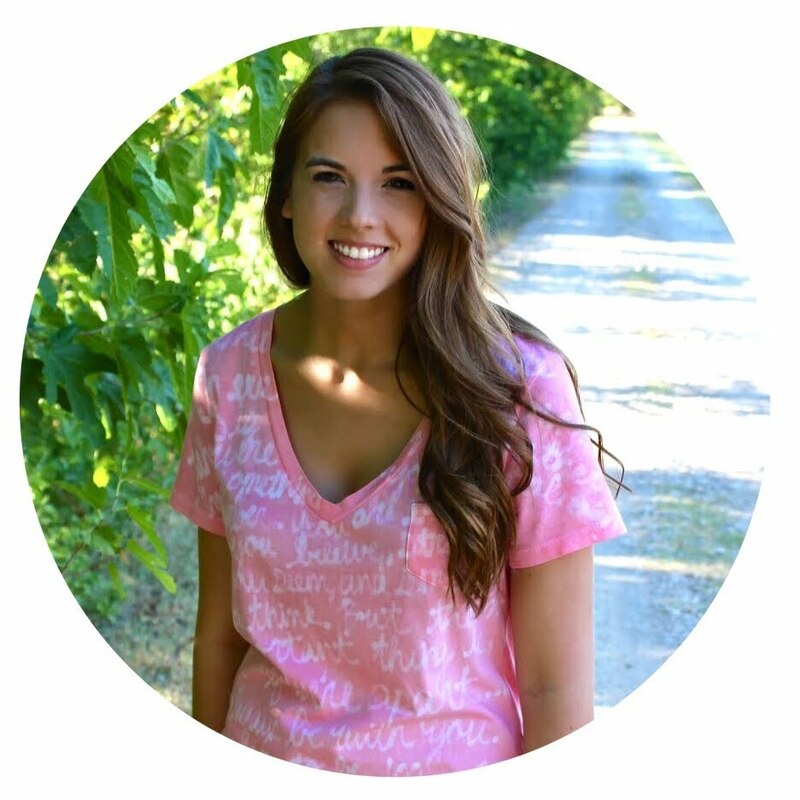 I love your blog and my 21 y/o college daughter (education too!) loves it too. I have a very similar machine! Only mine is a lovely avocado green :] I helped my grandpa clean a shed one summer and we found it among his paintings (he was an artist) and so he had it toned up and gave it to me as a "thanks". I love it! (however, i don't think it was his to give away, but my grandma has never said she misses it ;) ) thanks for all the wonderful and simple tutorials! although its quite a shame that book got ripped up .. I hope you didn't use your original copy! Thanks for sharing! Very pretty space! Love it - I'm waiting on larger craft space too! I saw this tutorial on Jones Design Company a while back so it may be the same book page wreath. Enjoy! I'm guessing twilight too.. LOL! Lovely wreath, I have that project on my todo list along with the other gazillion projects. I also have a Sears Kenmore (pics are in my blog). I can do different stitches if I drop in different types of dial cams in the slot up top other than that it also only does straight and zig-zag. Is your machine low shank or high shank??? I actually have 2 of the same machine, one is a table nested machine and the other is in a portable case(which seriously needs to be replaced). Awesome idea to make a nested machine more portable. My grandparents gave me my table nested machine about 17018yrs ago as a leaving home/being on your own gift. They found it at a garage sale for about $30. I paid just over a $150 for my 2nd machine. My grandmother's machine which is probably about 60-70yrs old is still going strong and if i'm not mistaken it's also a Kenmore. Love to see old sewing machines going strong. I am guessing Twilight, too. Best use of that book ever, by the way! ;) Great space! I adore your bedding - did you make it? If not, can you please tell me where you got it from? I LOVE your blog and all of your fabulous tutorials. :) I'm so glad I came across it. I am so thankful that I have a room (ahem, 2 rooms) dedicated to my sewing endeavors. I love to sew/create... it calms me in the midst of my chaotic life. I just found your blog and I must say, I LOVE IT!!! So awesome and so many great ideas. Thank you! I also love your bedding! So, bright and cheerful. Please do tell if you made it or where you got it! The bedding is from Anthropologie. Purchased a couple of years ago, so I doubt they still make it, but they always have the best bedding. Expensive, but so soft and always so cute! 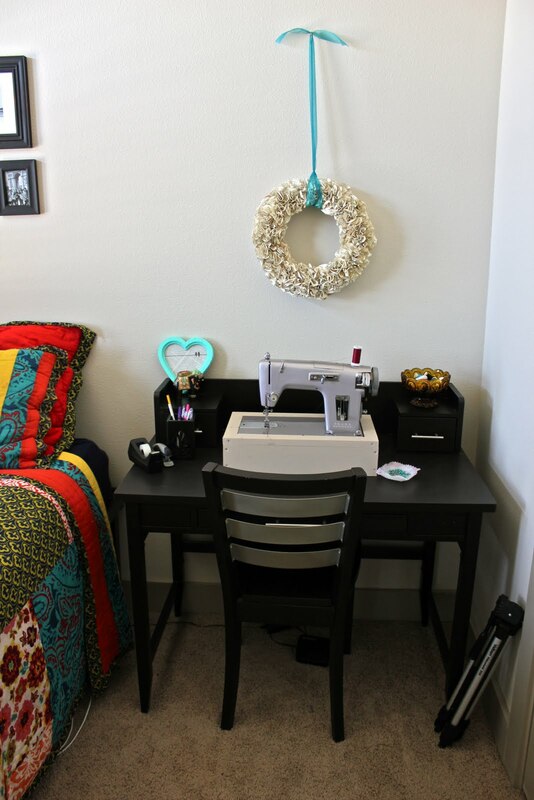 My goal in life right now is to make enough $$ to move into a 2 bedroom so I can have a sewing/craft room! I would LOVE a tutorial on your quilt!!! I love it and would like to make one for my self!! !